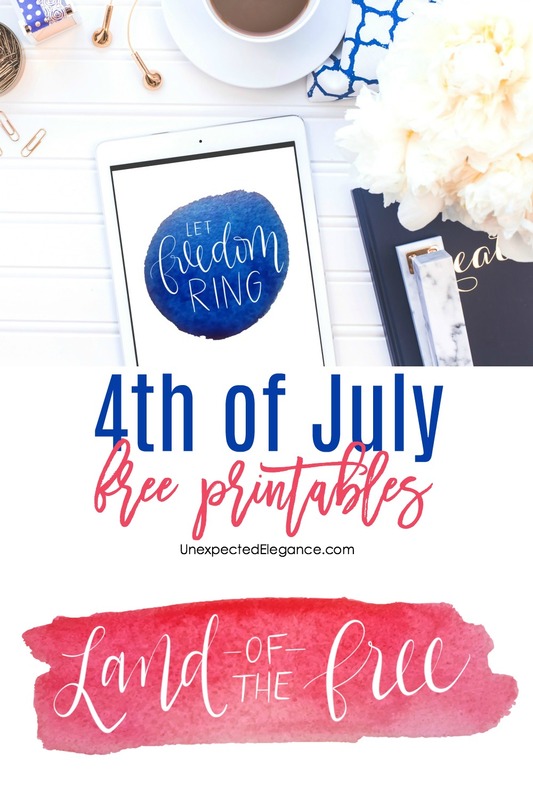 Hey friends, just a few, quick 4th of July FREE printables for you today. This is a super easy way to add a little bit of festive decor to your home. If you are having a party or get-together, it’s a great inexpensive way to decorate! Not having a party or out of town this year? Make sure you pin it for next year! 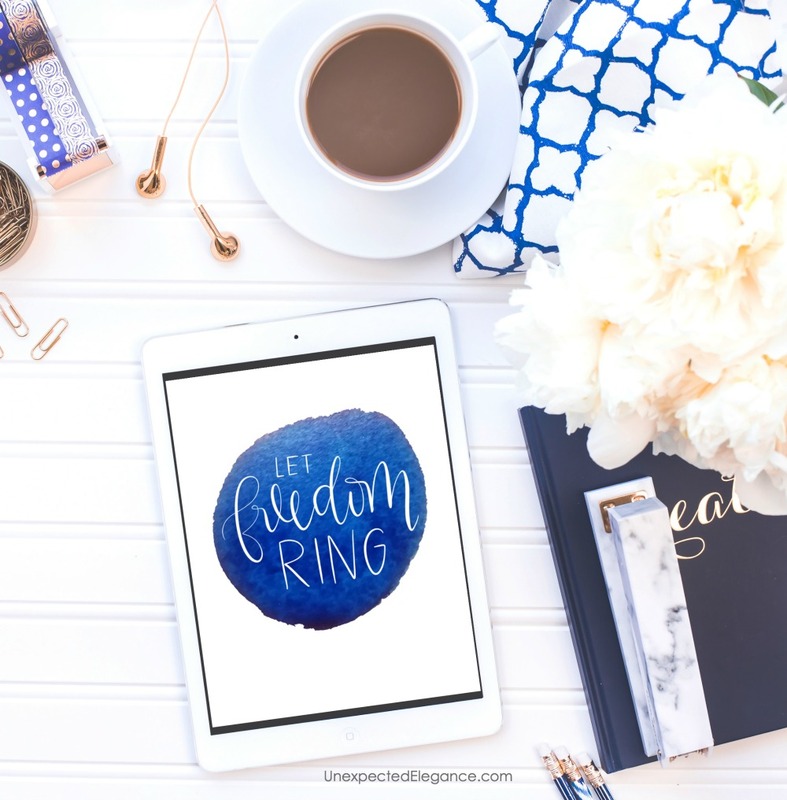 Download the two options (Let Freedom Ring & Land of the Free) below and print out at any size you desire! 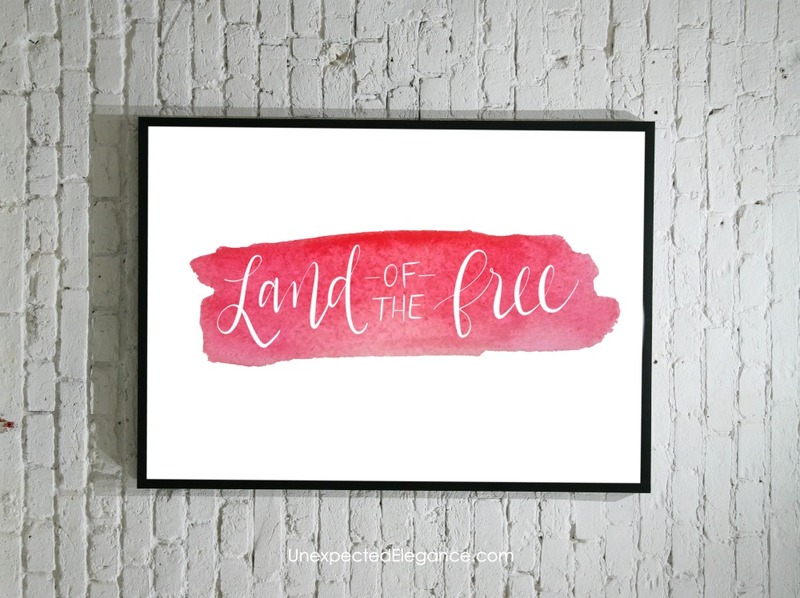 One of my favorite things to do is to create oversized engineered prints (these are super inexpensive). You can also grab my favorite white frame or just use one you already have. And, always, always, keep cardstock on hand!